There is a global trend in the financial industry today, to tackle compliance through a focus on ethical behaviour and culture. A good compliance attitude can help identify issues early and set standards for the future. 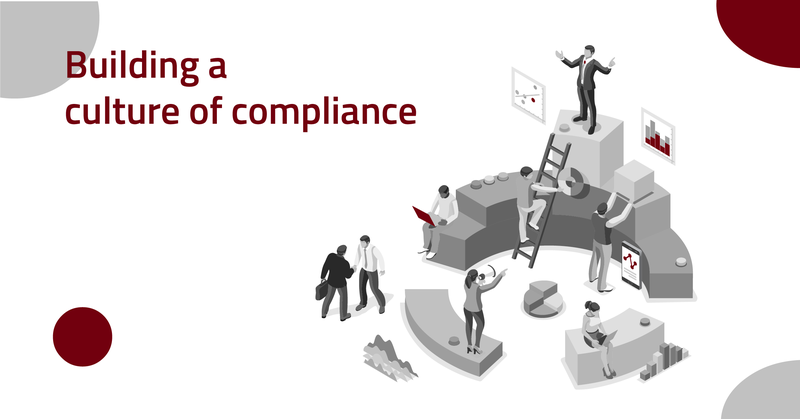 What does it take to instill a culture of compliance in your organization? Successfully instilling a positive mindset in this domain requires more than the right tools and technology. To set the right tone, we have to start at the top, with the senior leadership in FIs. Institutional level interventions through appropriate frameworks and policies are essential for building and sustaining it. Here are some ways it’s done. One could encourage such an ethos by building compliance into the everyday things, into BAU, and reinforcing good practices with rewards. For instance, FINRA has an upcoming guiding framework on “Credit for Cooperation” to foster cooperation among FIs. The policy explains what kind of cooperation is required and what is deemed suitable for credit. Policy level changes such as this improve the effectiveness of AML services. Some countries have gone on to institute Whistleblower protection mechanisms towards curbing money laundering. The German raids of Deutsche bank, and Danske bank investigations are all thanks to whistleblowers. Whistleblower protection mechanisms enhance the effectiveness of AML compliance provisions, as insider knowledge allows lawmakers to deploy forensic methods in a targeted way, and detect criminal activity far more efficiently. Through the last few decades, whistleblowers have shed light on the power wielded by individuals in leadership positions, and the influence of compliance attitudes of senior management across businesses, in swaying compliance decisions. They have also constantly highlighted the difficulty of punishing such individuals responsible for corrupt, fraudulent practices. But, regulators are paying heed. The G20 and Financial Stability Board recommend controls for increasing the accountability of senior management. Countries like the UK, Hong Kong, and the Monetary Authority of Singapore have put in place regimes to check the powers of the leadership in the FinTech world. ‘Name and shame’ enforcement processes hold individuals accountable for their bad behaviour, preventing them from moving on to other companies without taking any hits for their actions. Tech and policy interventions should go hand in hand. Collaborative platforms such as the SWIFT KYC registry help forge the way forward into a financial crime-free world by making AML compliance processes digital and open source. But, sometimes, the answers may not all rest with technology. The returns from these investments are dependent on changes at the level of the institution, which is effected through policy enforcement. Why automate employee onboarding and training?